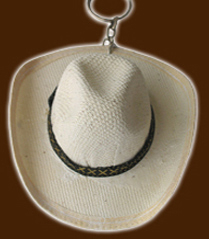 BOOT IS: 2" tall x 1-3/4 wide boot, shaft = 1" wide"
* Total Length = 3 1/4"
Leather mini saddle key chain. Measures: 1.5" x 1.75" . Each Boot: 1 1/2" x 1 1/2"